Kendra Scott is celebrating their “Sweet 16” anniversary with Children’s Miracle Network Hospitals. 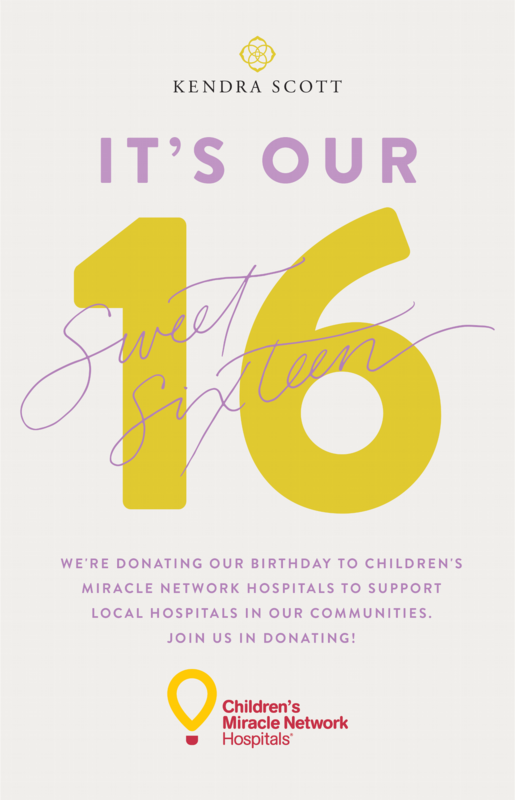 On Saturday, June 16, over 70 Kendra Scott stores throughout the country will be hosting Sweet 16 celebrations and donating 20 percent of their proceeds from the day to each store’s local CMN Hospital. Customers on kendrascott.com will also be able to make a charitable donation of any amount after they submit their purchase on the site. Kendra Scott will also be encouraging their followers to make a donation through their fundraising page on helpmakemiracles.org. Follow along with Kendra Scott’s support of CMN Hospitals through #kendraforthekids and #YouDoGood. Donations to CMN Hospitals will stay local to fund critical treatments and healthcare services, pediatric medical equipment and charitable care for the 10 million kids treated each year at the 170 member hospitals. Designer, CEO and philanthropist, Kendra Scott started her company in 2002, growing it from a small start-up to a multi-million dollar fashion accessories and lifestyle brand loved globally. Since it’s founding, the company has maintained philanthropy as one of their primary pillars, giving back $3.5 million and donating over 75,000 pieces of jewelry in 2016 alone. The Kendra Scott company has always been passionate about supporting children’s causes, specifically when it comes to improving their healthcare. Many individual Kendra Scott stores have worked with local children’s hospitals in the past. The Sweet 16 celebration will be the first national partnership between the company and CMN Hospitals. 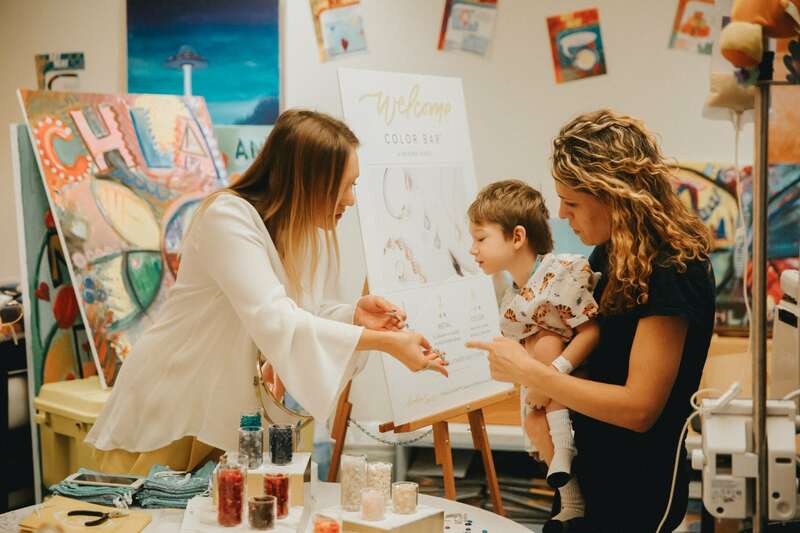 Kendra Scott held a Color Bar party event for patients and families at Children’s Hospital Los Angeles. Previous post: Pie with a Purpose!